Khadijah bint Khuwaylid was the daughter of Khuwaylid bin Asad and Fatimah bint Zayd. She was the first wife of Prophet Muhammad (PBUH), and is infamously known as one of Islam’s “Mother of Believers.” After Prophet Muhammad (PBUH) she was the first person to hear the words revealed from the Book of Allah (SWT): The Holy Qur’an. She was also the first person to embrace Islam. Khadijah was an incredibly strong and independent woman who was a successful and prosperous business woman. She would hire men to trade goods for her (since it was still a patriarchal, misogynistic cultural society), and always gave them a fair share of her profits. In fact, that was how she and Prophet Muhammad (PBUH) met; she employed the Prophet to work for her, due to his loyalty and sincerity, and they made great business partners. Later, they would make even better life partners. Khadijah, who was a 40-year-old widow, married Prophet Muhammad (PBUH), a 25-year-old who was never married. Nevertheless, the Prophet never once viewed this as an issue, and they had an incredibly strong and beautiful relationship, with 6 children: Qasim, Zaynab, Abdullah, Umm Kulthum, Fatima and Ruqayya. She strengthened his heart with enough love and confidence to empower Prophet Muhammad to carry the responsibility that Allah (SWT) laid upon him. Khadijah assured Prophet Muhammad (PBUH) of Allah’s (SWT) favor when he was anxious that he might prove unworthy and then be forsaken. As his wife and partner, she gave the full moral, financial and emotional support that he needed. Khadijah was a very generous and giving woman, who not only was supporting and working for her family and workplace, but also used to donate to the poor, orphans, widow and to the sick. Prophet Muhammad (PBUH) did not take another wife until after Khadijah died. His love for his first wife remained deeply ingrained in his heart even after her death. At the side of the greatest man in history, not just in Islam but in the secular world too, was an awe-striking woman: Khadijah. Aisha was the daughter of Abu Bakr Al-Siddique, best friend and companion of Prophet Muhammad (PBUH), and Umm Ruman. Aisha is also greatly revered and described as one of the “Mothers of Believers” among Sunni Muslims. She was one of the greatest scholars of Islam, holding immense influence in the community after Prophet Muhammad’s death, and her chains of narration are held in high regard among Sunni Muslims. In fact, in some Muslim sects, Aisha conveyed the most authentic hadiths (sayings and actions of the Prophet) and was said to have been the closest to him — even closer than his male companions, the sahabas. Aisha spent her time teaching Islam and narrating hadiths. She was an inflamously strong and intelligent woman, described frequently as having a fun-loving personality and one of the most adoring relationships with the Prophet Muhammad (PBUH). She was a woman who stood for truth and justice. There have been several verses from the Qur’an which were revealed because of her; one of the most famous when she was accused of adultery by her enemies. “It was a group from among you who brought the false accusation — do not consider it is a bad thing for you [people]; it was a good thing — and every one of them will be charged with the sin he has earned. He who took the greatest part in it will have a painful torment. When you heard the lie, why did believing men and women not think well of their own people and declare, ‘This is obviously a lie’? And why did the accusers not bring four witnesses to it? If they cannot produce such witnesses, they are the liars in God’s eyes. If it were not for God’s bounty and mercy towards you in this world and the next, you would already have been afflicted by terrible suffering for indulging in such talk. When you took it up with your tongues, and spoke with your mouths things you did not know [to be true], you thought it was trivial but to God it was very serious. When you heard the lie, why did you not say, ‘We should not repeat this- God forbid!- It is a monstrous slander’? God warns you never to do anything like this again, if you are true believers” (24: 11-20). Prophet Muhammad (PBUH) spent his last few days of his blessed life with Aisha and died in her lap. With a clean, pure character and conduct that earned her a beloved reputation among many followers of Islam, she is believed widely to be blessed and one of the chosen woman of Paradise. Taalib. She was a mother of the greatest martyrs of Islam- her sons- Hasan and Hussein. Fatimah was mature and had remarkable patience and determination while dealing with difficult trials and tribulations. Just like her mother, Khadijah , she also was a very generous and giving woman, who not only was supporting her father and the truth, but also was generous and compassion towards the poor. She was also a master student of Islam. She narrated the whole story of Tamim al-Dari and she dedicated her time into learning, even after the bereavement she was going through. 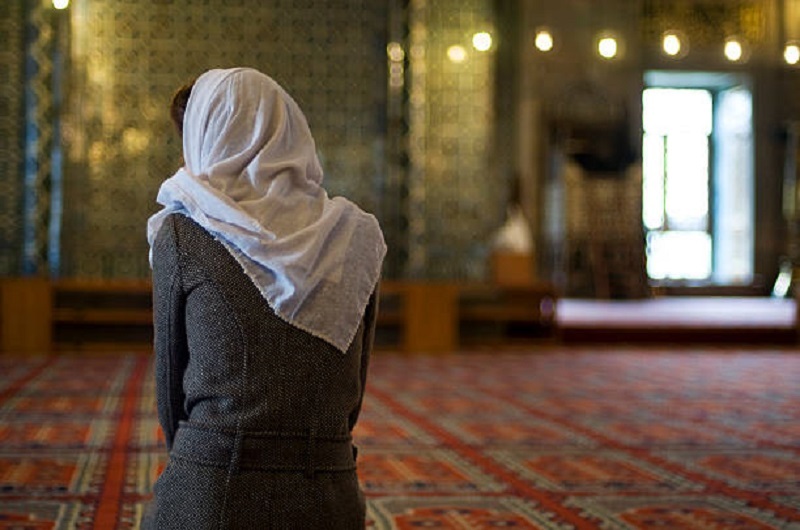 She used to hasten to the mosque whenever she heard there would be a sermon afterwards. She committed to memorize the long, detailed hadiths of Sahih al-Muslim and other compilations and, later all those compilations were confirmed in every detail by other narrators. Fatimah lived for six months after the death of her father. She was buried at night. With the clean, pure, character and conduct that she had, along with being a righteous person, she was the blessed and chosen woman of Paradise. At this day and age, it is saddening to see that there are huge number of people who think “Islam oppresses women, Men are dominating towards women in Islam, Women can’t work and are meant to take care of the house and family, Muslim women are less qualified, Muslim women are less educated, Islam does not give women its rights” and many more. Matter of fact, if you study the history of Islam, it is seen that Women had a huge role in contributing to the community. They were the means to spread the message of the beautiful religion- Islam. They were educated, strong, intelligent, had passion for learning, worked, maintained work and family life, supported their husbands, and maintained modesty. History shows how strong Muslim women can be- it’s not what the mainstream media portray. It is time, for Muslim women to embrace the right thing, broaden their thought process and get down to work because when women is at work, they produce nothing less than perfection. And to women who surrender to the ugly stereotype against the Islamic norms, I say you don’t know what you are missing and its time to seek knowledge. As a Muslim woman, I have Muslim women as role models whom I can learn from and preach what I learn and hope for Jannah in the Hereafter.